I purchased this pretty painted poinsettia from Produce Junction for $2.50 on Black Friday and it's still alive! Aren't you proud of me? I hadn't ever bought myself an indoor plant before because I was afraid I'd kill it, but the glitter and dye dazzled me. And for the price, the traditional Christmas flower could have lasted a day and still been worth the holiday magic it brought to my home. May your winter solstice and season be filled with sparkles, too! Other flower hops where I've planted my post this week include Floral Friday Fotos, I Heart Macro, Macro Monday 2, My Weekend Flower, Saturday Show Off and Today's Flower. Thanks ever so much for the feature of my white flowers. 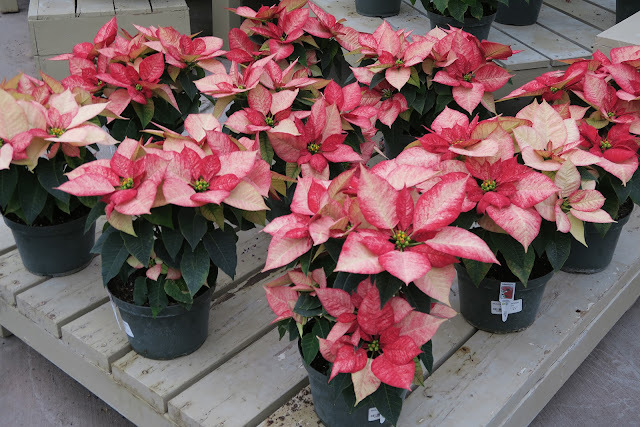 And the blue painted poinsettia is stunning. 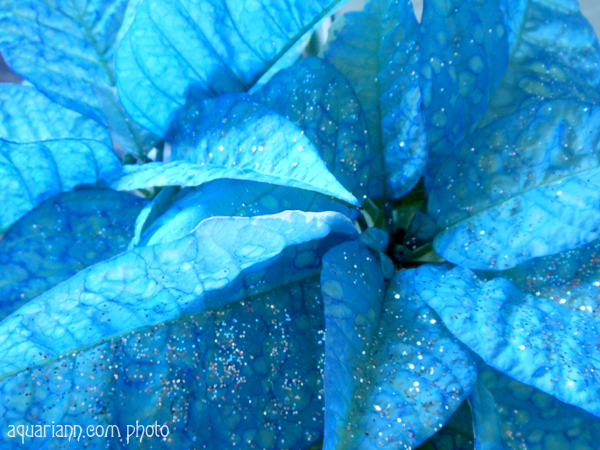 Never seen a blue poinsettia before, it's really magical! That is a real pretty blue poinsettia. Thanks for hosting. I have linked up too :) Have a great weekend! Wishing you a Blue Christmas. When I landed on your page...I totally said "Ooooooooh" right out loud!! Very gorgeous and extra enchantment points for being so unexpected!! I am curious how they dyed a living plant blue like that. I know hydrangeas will go pink or blue, but only the flowers, depending on acidity or alkalinity of the soil. Did they just water it with blue dyed water? However it was done it looks stunningly beautiful. Love the blue, Merry Christmas!! Wow, guess they are having a blue Christmas this year! That's pretty! I hope you have a nice Christmas! What a beautiful blue! MERRY CHRISTMAS! Oh that's so pretty. Merry Christmas to you and your family! Amazing it survived that long! This plant is gorgeous! Have a Merry Christmas. I went to a place last weekend that had all kinds of varieties. It was so pretty! Very Cool. Now you have a lovely very Blue Christmas. so pretty, i love that color!